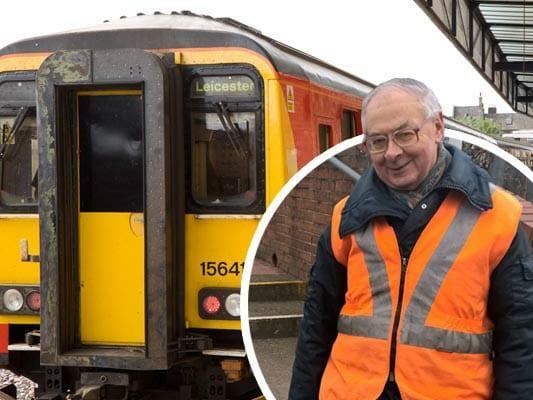 The latest news from our local railways by Carlton and Netherfield stations adopter Tony Cave. Records continue to be broken on the 8.08am Matlock train. On Wednesday, January 18, 38 got on and 4 got off. On Wednesday, January 25, 41 got on and 3 off. This was partly due to the long delays on the roads caused by roadworks. One day the same week it was reported to me that 29 people joined the 7.11am train to Matlock. Thanks to those that report the passenger numbers. A four-car Meridian train has been used on some of the Lincoln to Leicester trains, including the 17.21pm out of Nottingham. This has been appreciated by those using the service. Even so, it’s still full! We are more than half-way through the three-year trial of the Newark extension to the Nottingham-Matlock service, and I think it has been successful and should be included in the new franchise which commences in Summer 2018. Major development is planned in the Newark Growth Zone with up to 10,000 new homes and 150 hectares of employment land by 2026. The current phase for 3,150 homes should have commenced now, generating more road and rail traffic and not forgetting plans for large housing developments in Gedling and Netherfield. A wish-list for Lincolnshire County Council is to have two trains an hour between Lincoln and Nottingham. This is currently being constrained by having to cross the East Coast line. The Saturday Nottingham to Newark service is not included in the three-year trial and has been included due to demand. Between 8.00am and 12.00pm on Saturday, November 7 2015, 19 passengers used the five trains at Carlton. On Saturday, November 19, 54 passengers used the 10 trains. If possible, avoid the 11.24 train to Leicester on Saturdays, it is more often-than-not full and standing and passengers have been turned away. I never thought I’d say this, but passengers turned away sometimes do not come back. Trains starting at Newark always have room, so the 11.08am train is your best option. Work is taking place to extend the platforms at Lowdham and Fiskerton stations, which will compensate for the loss of part of the platforms at the level crossing end. This work should be completed in May. Newark Festival is on Friday, June 16 to Sunday, June 18. Last year a late night train ran from Newark to Nottingham, calling at Carlton on the Saturday. I hope it does so this year. Trenitalia (Italian) and First Group are combining to bid for the East Midlands Trains franchise. Ilkeston Station is due to open on Sunday, April 2. We’ve had a meeting with East Midlands Trains line manager about the poor condition of Carlton Station car park surface. The result is that one Saturday or Sunday soon, a load of ballast/chippings will be spread over the surface to improve drainage. Notices will be put up beforehand to advise on the closure day. There will be a Civil War Festival at Newark on April 30 and May 1 and will see a re-enactment of the 17th century battle. It now seems unlikely that there will be an improved service at Carlton Station on Sundays from this May, as previously hoped. However, the new timetable will be available online at the beginning of March. Keep up the good work Tony, the service at Carlton is getting busier and busier since the extra trains were introduced. Time for EMT to invest in ticket machines or at least Smartcard points at Carlton?